2019 Reissue. Limited edition 500 copies. 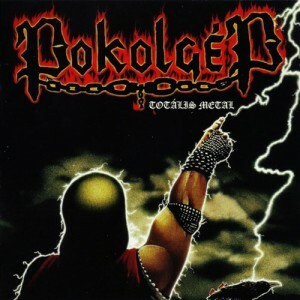 Pokolgep are one of the most important heavy metal acts from Eastern Europe, and their early albums - "Totalis Metal" (1986), "Pokoli Szinjatek" (1987), "Ejszakai Bevetes" (1989) and "Metal Az Esz" (1990), are the ultimate classics of the genre. The Skol Records CD reissues were mastered by Bart Gabriel (CIRITH UNGOL, SARACEN, SORTILEGE), and have the original dynamic sound. Third reissue in the series, "Ejszakai Bevetes", will be available on March 29. For fans of: IRON MAIDEN, JUDAS PRIEST, ENFORCER, HEAVY LOAD, TERMINAL.